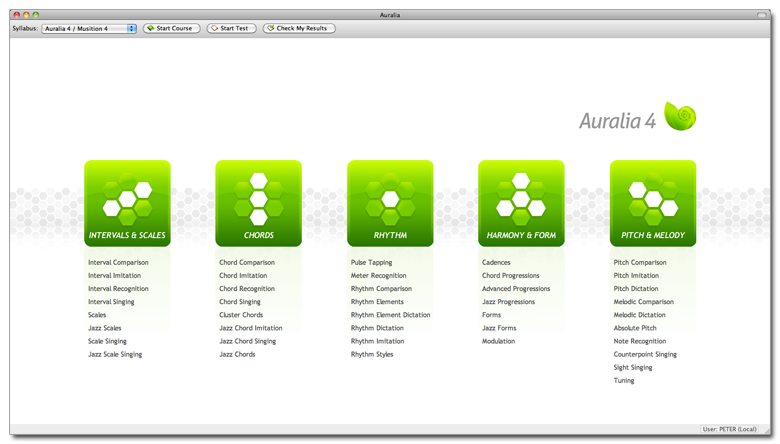 Auralia is considered by many educators to be the most comprehensive ear-training software available today. Many thousands of teachers and students use Auralia as a regular part of each music lesson, as preparation for theory exams, or as outside homework between lessons. Some students study Auralia on their own, others study it with their performance or composition teacher. For those of you who have a goal to complete the essential exercises in Auralia, the following guide can help you gauge your progress and plan your goals. This is the list of essential exercises, and omits those which require a microphone. Those might be better done with a teacher or another person, since sometimes the technical limitations of your computer system can indicate an incorrect response even when you correctly answered the question! Please note that all these exercises help prepare students for the AP Theory exam, the Royal Academy of Music Exam and many other standardized music tests. Each student should consult his/her teacher to get personal guidance on which exercises are most necessary for their individual needs. Syllabus: Auralia 4 / Musition 4 Please note: You can switch to Syllabus AP Music to prepare for and take practice exams. You can also create your own Syllabus and save it. 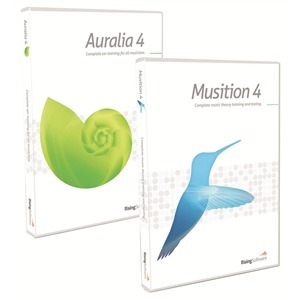 The Auralia 4 / Musition 4 Syllabus covers all the necessary material and is the syllabus choice most students follow. 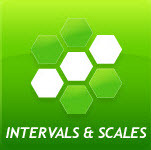 Interval Recognition – through Level 11 of 17. Levels 12 -17 are compound intervals and are more advanced. Meter Recognition – through Level 6 of 11; Levels 7 through 12 are progressively more complex and are good for students preparing to major in music in college. Most students are challenged by this exercise! Rhythm Comparison – through Level 8 of 12; Levels 9 – 12 are more complex and very good for advanced students. This exercise is also a very challenging one to most students! Rhythm Elements – through Level 4 of 8; Levels 5 – 8 include syncopation and are excellent for more advanced students. Rhythm Element Dictation – through Level 4 of 8; Levels 5 – 8 include syncopation and are excellent for more advanced students. Rhythm Dictation – through Level 10 of 15. Levels 1 – 10 use 3/4, 4/4 and 6/8. 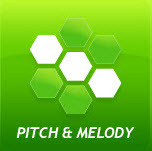 Beginning in Level 11, the following rhythms are introduced: 6/4, 9/8, 12/8, 5/4, 7/4, 5/8 and 7/8. 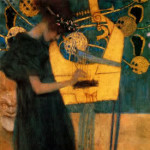 The performer or conductor of 20th and 21st century music, and composers should eventually attempt to master all levels. Rhythm Imitation – through Level 5 of 9. Levels 1 – 5 use 2/4, 3/4, 4/4, 3/8, and 6/8. The advanced student can gradually work through Levels 6 – 9, which add 9/8, 12/8 and 5/4 selections. Rhythm Styles – this exercise is not related to classical music at all, or to standard music studies, but most students have fun with this one! Go as far as you like in the 7 Levels!